All stock transactions data can be viewed for any date range, and sorted by the type of transaction: adjustment, despatch, stock take etc. 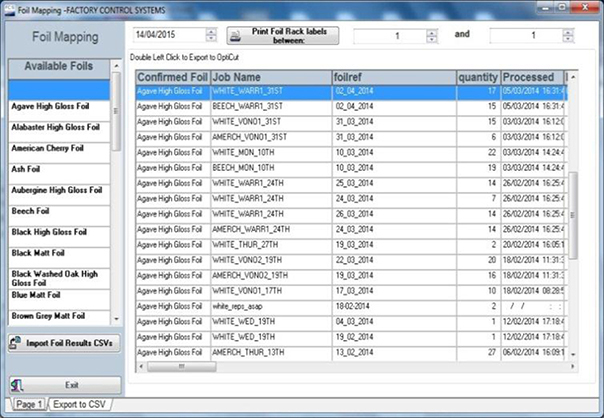 A full ‘suite’ of reports is available so that you can check and monitor rejects, as well as material and labour performances against standard, at every stage and operation within the manufacturing processes. Operational and process reports can be developed to monitor ‘key’ elements of the business. The "quality" and "reliability" of internal and external suppliers can be evaluated on a regular basis. Includes reports for FSC (Forestry Stewardship Council) audits.